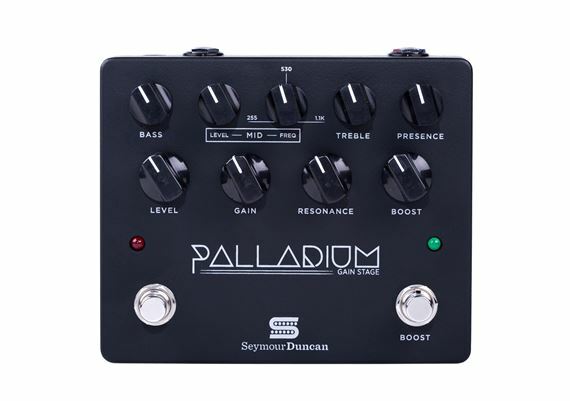 Shop Seymour Duncan Palladium Gain Stage Pedal Matte Black from AMS with 0% Interest Payment Plans and Free Shipping. 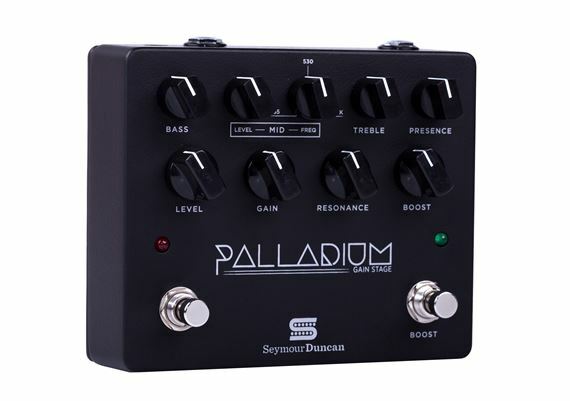 The Palladium Gain Stage effects pedal from Seymour Duncan is the first stompbox that actually captures the feel and responsiveness of a high gain tube amp. 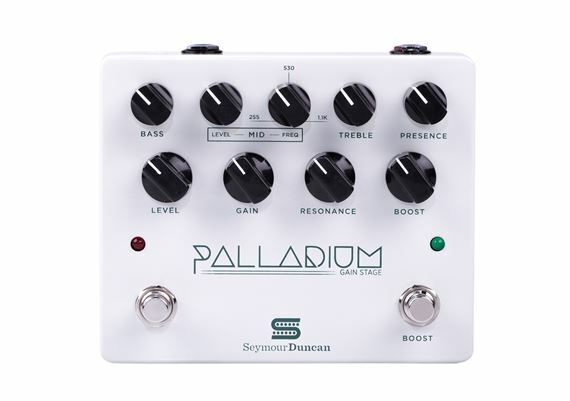 By focusing beyond just the tonal characteristics of Palladium, Seymour Duncan designed an innovative architecture that captures the full-bodied depth and character previously unattainable in an effects pedal. You can use it with a power amp or a clean guitar amp to create your ultimate high gain signature sound, and replicate your favorite high gain amp tones. Or use it in front of a distorted amp to tighten up the attack for rhythms or to increase sustain and saturation for solos. 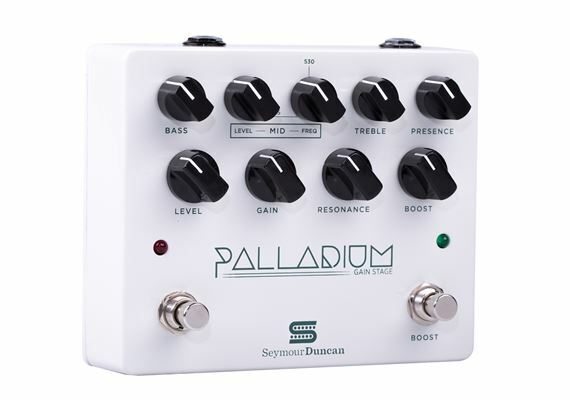 However you choose to use Palladium, you will hear and feel the impact of great tone, body and depth in your unique sound. I’ve always loved tone and eq and I was very happy with how much tone you can get out of this. It’s my main pedal playing out of a Vox and I just couldn’t believe the control I had Over the tone. Can make it sound very natrual and has a nice mid punch I always listen for. But it’s just me. I couldn’t be happier with my tone and the Paladium gets me where I want to be.